right? If I had more free time, I would be all over this. 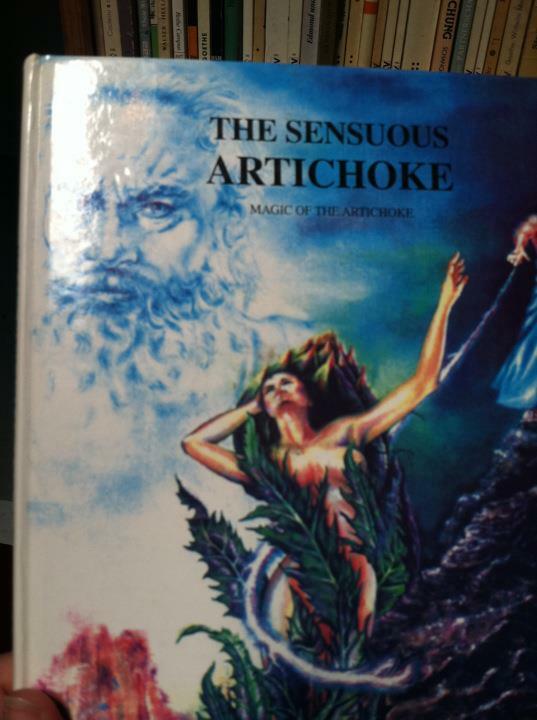 I never knew artichokes could be so sexual. Sounds like a great idea for a romance novel. That just looks painful to me. But then, I’ve always hated artichokes. I’m with Laura. More scary than sensuous to me. Big Cloud Man in the background creeps me out. I want this as a large print for my kitchen! put a nice frock on that artichoke an i’m all over it. more drollery from u A.J. I have this book but I don’t keep it in the kitchen….